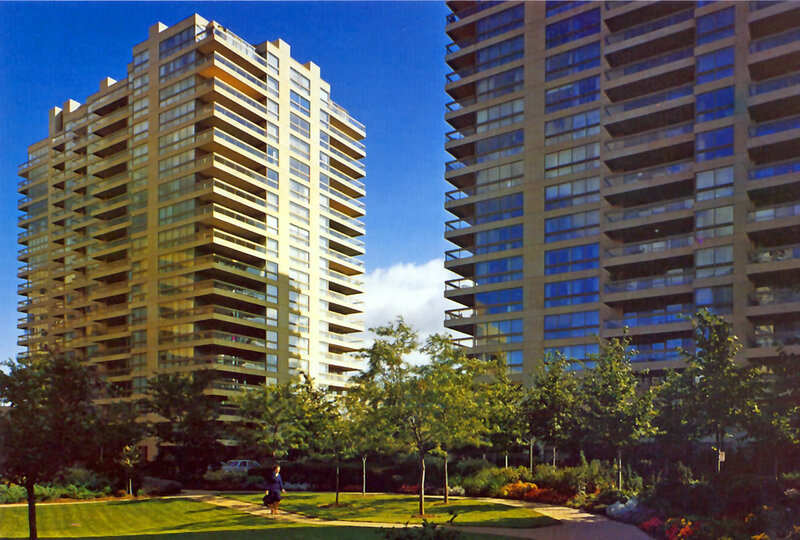 The twin residential condominium blocks are located in an exclusive area, on St. Clair Avenue West in Toronto. The two reinforced concrete shear wall structures with flat slab floor plates, share a common steel framed glass enclosed lobby. The entire complex, including the landscaped area in front of the building is built over a three level subgrade parking garage. The cladding is a combination of precast panels and extensive glazing which gives the buildings their distinctive appearance.